In December 2017, Congress passed a tax reform bill that lowered the corporate tax rate to 21% from 35%. In his first article on the topic, Toptal Finance Expert Jacob Wright went through the effect on interest deductibility, where interest deductions are now capped at 30% of EBITDA for the next three years, and at 30% of EBIT from 2022 onward. In this article, he runs through the second major effect of the bill: the effect on capital expenditures and capital investment expensing. He then concludes with thoughts on capital structure optimization in light of the tax reform. The immediate expensing of capital today reduces taxable income in the current year, but increases taxable income in future years, as there is no longer any depreciation to deduct from taxable income. In writing off the cost of the asset over time, free cash flow calculations have always deducted capital expenditures (capex) from net income but added back depreciation. Analysts have forecasted FCF based on historical capex and using a depreciation schedule. The ability to immediately expense capital creates a problem for analysts though. Companies, while not having any depreciation from a taxable income perspective, would still show depreciation on their income statement. For publicly traded companies, analysts need to dig deeper into the financials to understand depreciation expense and the difference between book depreciation and taxable depreciation. For private companies, analysts may have to try to access a company’s tax return or seek the opinion of the company’s tax and/or audit advisor. As you would expect, capital intensive industries, such as airlines and the oil and gas industry, will be the biggest winners from the ability to fully expense capital. However, care must be taken in these capital intensive industries to ensure that the capital is acquired in the most efficient way. For most companies looking to make large capital investments over the next few years, the funding will come almost exclusively from debt, which now only benefits from limited interest deductibility. 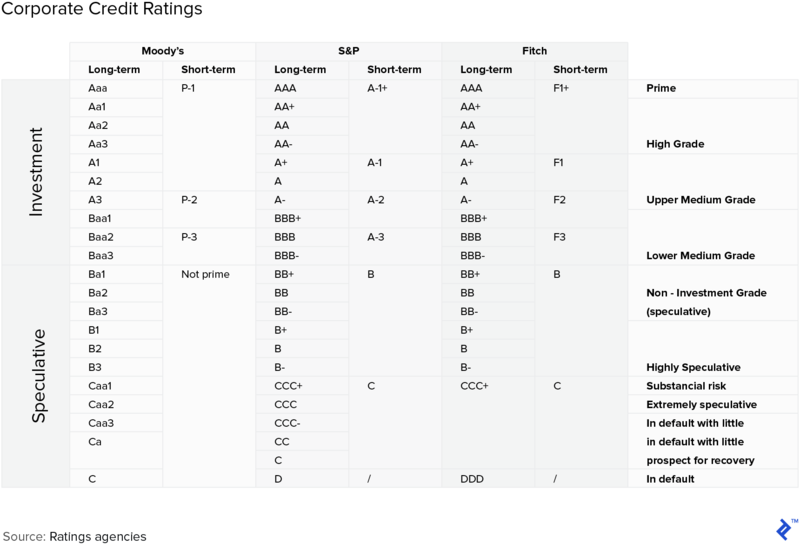 What does an optimal capital structure look like now? The goal of a company’s capital structure is to determine the combination of financing that maximizes the value of the company. According to the static trade-off theory, the company should balance the value of the tax benefit from deducting interest with the present value of the costs of financial distress. How should we view an optimal capital structure now that we have a lower marginal tax rate, but in certain cases the inability to deduct interest? The answer depends heavily on the company itself. For companies with strong margins, investment grade credit, and low to moderate debt to equity ratios, the answer may actually be to increase their debt level. While the cost of financial distress will increase, the decrease in tax expenses should more than offset any financial distress cost. For highly levered companies, companies with low operating margins, and companies with below-investment-grade credit, the tax law will have significant effects on their optimal capital structure. The inability to fully deduct interest will not only increase the WACC for these firms, but it also has the potential to reduce net income. In a previous article, I examined the impact of the recently enacted corporate tax reform and specifically outlined one of its major effects: the changes to interest deductibility. I outlined how companies will, going forward, only be able to deduct net interest costs up to 30% of EBITDA, and that, as of 2022, the rule becomes even more stringent, making the 30% ceiling apply only to EBIT. The effects of this change are likely significant, in that they will rebalance the importance of debt in companies’ capital structures and consequently their cash flows. In this article, I’d like to run through some further thoughts related to the effects of the corporate tax reform, specifically the effect on capital expenditures, and then a more high-level assessment of what the optimal capital structure of the future will look like. 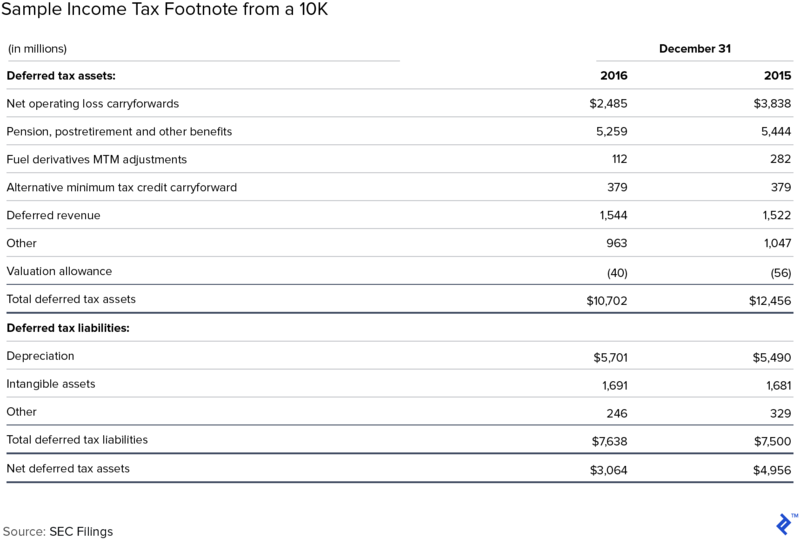 A second key change from the tax overhaul is the ability to immediately expense capital expenditures. The immediate expensing of capital today reduces taxable income in the current year, but increases taxable income in future years, as there is no longer any depreciation to deduct from taxable income. In writing off the cost of the asset over time, free cash flow calculations have always deducted capital expenditures from net income but added back depreciation. Analysts have been able to forecast free cash flow based on a company’s historical capital spending, any newly announced capital projects, and utilizing a depreciation schedule. However, with the advent of immediate expensing of capital projects, the ability to project net income and free cash flow has significantly diminished as any new capital has the potential to be fully expensed in the year of purchase. Prior to the tax bill, the majority of companies utilized the straight-line method of depreciation for their accounting books and the MACRS depreciation method for their tax books. While utilizing a different method for your tax books versus your accounting books creates book-to-tax differences, analysts have typically ignored them and utilized the straight-line depreciation method in forecasting cash flows. The rationale behind ignoring the book to tax differences is that while there are variations in annual depreciation amounts, these variations will offset each other over time. Additionally, the useful life assumed under each method is similar, which further supports using book depreciation in free cash flow calculations. The advent of the ability to immediately expense capital creates a problem for analysts though. Companies, while not having any depreciation from a taxable income perspective, would still show depreciation on their income statement. A traditional view of Free Cash Flow would tell us that we should add the book depreciation back to Net Income. When doing this, an implicit assumption of the calculation is that we are able to utilize the tax benefits of the depreciation tax shield. In reality, this is no longer the case as all of the tax benefits were utilized in the year of purchase when we fully expensed the capital. The answer to how we adjust for this would be simple if a company fully expensed all of their capital in the year of purchase, we would just omit the addback of depreciation in the Free Cash Flow calculation. However, not all fixed assets will qualify for immediate expensing, and after 2023, the amount companies are able to immediately expense will be phased down gradually back to pre-2018 levels by 2027. The actual answer is more complex. For publicly traded companies, analysts need to dig deeper into quarterly and annual financials to understand depreciation expense and the difference between book depreciation and tax depreciation. For private companies, analysts may have to try to glean information from a company’s tax return (if they can even get access) or the opinion of the company’s tax and/or audit advisor. Further complicating matters is that with the ability to fully deduct capital, management can manage net income. In years of high earnings, management may accelerate capital purchases to reduce taxable income. Even more concerning is that these decisions will occur long before they are reported out to analysts and investors. Companies will make capital investments in 2018 they have been putting off, however as we progress into 2019 and 2020 capital expenditures should revert back to normalized levels. This should enable investors and analysts with a year of immediate expensing data to develop more accurate earnings and free cash flow forecasts. However, there will still be significant growing pains along the way as we adjust to the new normal of immediate expensing. As you would expect, capital intensive industries, such as airlines and the oil and gas industry, will be the biggest winners from the ability to fully expense capital. For corporate managers in these industries, having the ability to fully expense capital while also reducing their tax bill and increase after-tax cash flow is enticing. However, care must be taken in these capital intensive industries to ensure that the capital is acquired in the most efficient way. For most companies looking to make large capital investments over the next few years, the funding will come almost exclusively from debt. The airline industry provides an excellent example of the benefits and potential pitfalls that arise when taking advantage of immediate expensing. Between 2018 and 2020 alone, American Airlines expects to spend $7.2bn on aircraft capital expenditures, and this capital investment is expected to be financed with 80% debt (Source: American Airlines Q4 Earnings Call). While unit profits, defined in the airline industry as operating profit per available seat mile, have been increasing over the past few years, they dropped to $18 per passenger in 2017 versus the four year average of $20. In addition to a drop in unit profit, the airline industry much like other capital intensive industries is facing headwinds from increasing energy prices and interest rates. However, the ability to immediately expense capital provides the opportunity to not only sustain but grow free cash flow during this same time. While the potential inability to fully deduct interest is concerning for capital intensive industries, the more important step is to lock in financing at lower rates today. Once the funding is in place, these companies can understand in what years the potential arises for interest expense to exceed 30% of operating income. These companies can then review capital budgets to assess whether the purchases of capital could be accelerated or decelerated to offset any negative impacts in after-tax operating income and free cash flow. 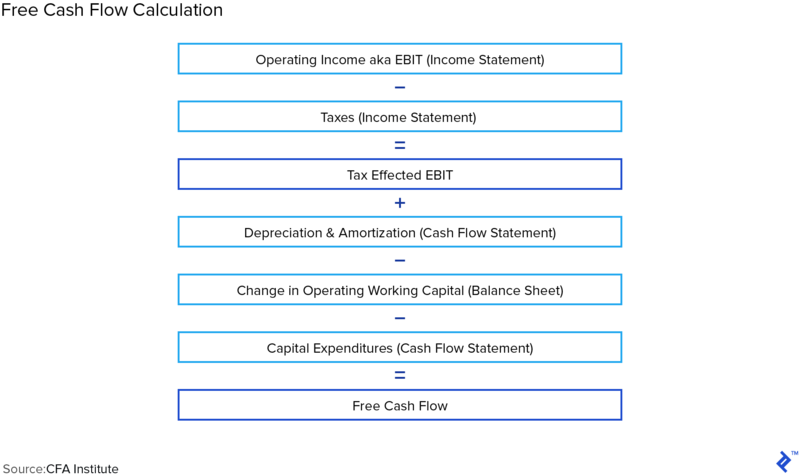 If done correctly, this method will enable the company’s free-cash-flow and after-tax operating income to accurately reflect the trajectory of operating earnings. However, if a company fails to understand and forecast the impact of the tax reform on both financing and capital together, they will experience large swings in free cash flow and earnings, that will vary wildly from operating earnings. The goal of a company’s capital structure is to determine the combination of financing that maximizes the value of the company. 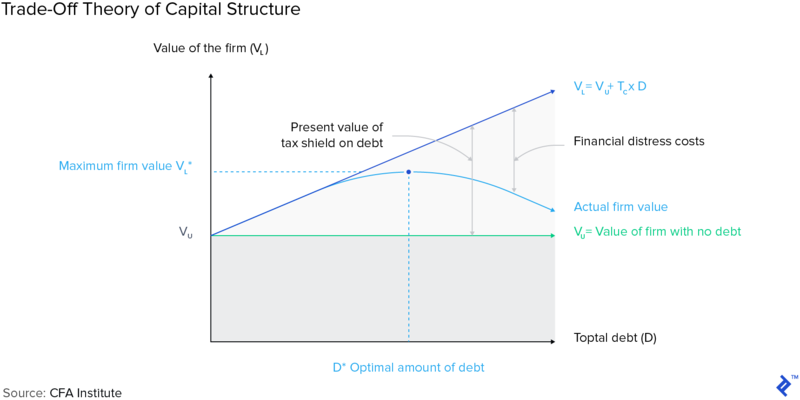 According to the static trade-off theory, when choosing a capital structure, the company should balance the value of the tax benefit from deducting interest with the present value of the costs of financial distress. Traditionally, calculating the tax benefit from deducting interest has been simple, since the entire interest expense was deductible. However, if a company is unable to fully deduct their interest expense, or even worse, forecasts that their operating earnings would be sufficient to fully deduct interest but actual results are lower, the value of the tax shield, and in turn, the value of the company, is lowered significantly. Further complicating matters is that while not all interest may be deductible, we now have a lower marginal tax rate. How should we view an optimal capital structure now that we have a lower marginal tax rate, but in certain cases the inability to deduct interest? Traditionally, we have judged a company’s WACC in relation to their peers. While companies in the same industry typically have similar capital structures, their margins can vary widely. When interest was fully deductible, variations in margins were not a big deal. However, now that only 30% of EBITDA can be deducted, companies in the same industry, with the same capital structure, but extremely different margins, can have wildly different WACCs. The answer to what the optimal capital structure is post-tax reform, like most questions with tax reform, depends heavily on the company itself. For companies with strong margins, investment grade credit, and low to moderate debt to equity ratios, the answer may actually be to increase their debt level. While theoretically the cost of financial distress will increase, the decrease in the marginal tax rate from 35% to 21% should more than offset any financial distress cost for a modest increase in the debt to equity ratio. For highly levered companies, companies with low operating margins, and companies with below-investment-grade credit, the tax law will have significant effects on their optimal capital structure. The inability to fully deduct interest will not only increase the WACC for these firms, but it also has the potential to reduce net income. This creates even more of an issue for below-investment grade issuers, or issuers who are on the lower end of investment grade, as they may struggle to meet their debt covenants. This reduction in net income also significantly decreases the financial flexibility of the company. Although a reduction in net income and an increasing WACC is a cause for concern, corporate managers need not fret, they just need to begin to think outside of the box. While issuing traditional equity is an option, the equity prices of companies affected by the inability to fully deduct interest would be facing downward pressure as their net income drops, and any further issuances of equity would put even more downward pressure on the share price. An alternative option would be to issue preferred stock. There are a few caveats to this option though. The preferred stock would need to have a dividend yield that is significantly lower than the current cost of debt, and the preferred stock would be used to reduce the total debt to the point where the company could fully deduct their interest. This would increase Free Cash Flow, reduce the WACC, and increase the overall value of the company. An alternative option for companies with low to no earnings that are not able to fully deduct their interest expense is to issue a convertible bond. A convertible bond carries a significantly lower coupon rate, due to the ability to convert the bond to common shares at some future point in time. In the early years, the company would have a lower WACC, and increased after-tax operating income versus straight debt, which would result in a higher valuation. In the later years though, assuming the debt was converted, the WACC would shift higher since the firm would be funded by more equity. All things being equal, the after-tax operating income of the firm would increase once the debt is converted, although it is unlikely that the increase in after-tax operating income would be large enough to offset the decrease in overall value created by an increase in the WACC. Since the intent of issuing a convertible bond would be to lower the overall capital structure and maximize shareholder value, extra care must be taken when developing the terms of the conversion. An alternative option would be to attach a call provision to the convertible bond, which would enable the issuer to call the bond at a predetermined price. Once the convertible bonds are called, the issuer could then issue a straight debt security, assuming their operating margins have improved to deduct the interest or issue preferred stock as discussed above. The bottom line is that the tax bill has adjusted how we think about the optimal capital structure of a company. Because of this, a company’s capital structure has to adapt for the company to stay competitive in the marketplace. There are alternative ways to fund a company rather than just straight debt or equity, but companies must identify the appropriate type of funding and customize it to enhance shareholder value and generate above-market returns. As we’ve seen, the tax bill will also significantly alter how we value companies, how we view debt in the capital structure, and how we view capital expenditures. Unfortunately, there isn’t a one size fits all solution for companies to maximize shareholder value post-tax reform. However, the companies that can look at their operating structure and capital structure holistically and adapt have the greatest potential to enhance shareholder value and generate above-market returns going forward. Corporate managers have options from accelerating capital purchases to issuing convertible bonds, but they must be willing to think differently than they did just last year. Analysts, portfolio managers, and corporate managers also need to become well-versed in the new effects of the tax law, and fast – your tax advisor can only be the scapegoat for so long. 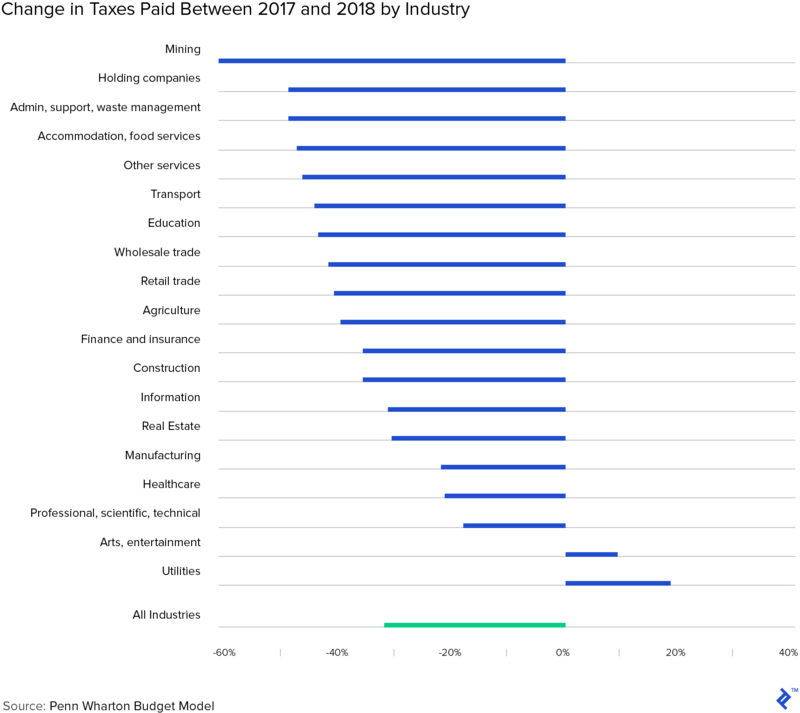 What is the 2018 corporate tax rate? In December 2017, Congress passed a sweeping tax reform bill that reduced the federal marginal tax rate to 21% from 35% effective January 1, 2018. What is an example of a capital intensive industry? The airline industry is an excellent example of a capital intensive industry. Between 2018 and 2020 alone, American Airlines expects to spend $7.2 billion on aircraft capital expenditures, and this capital investment is expected to be financed with 80% debt. What is capital structure and why is it important? A company’s capital structure is the combination of its financing sources. The goal is to determine the combination of financing that maximizes the value of the company. Companies should balance the value of the tax benefit from deducting interest with the present value of the costs of financial distress.